GoldspeedUSA Officials continue to work feverishly in anticipation of what is expected to be a very strong turnout for the first edition of the Maxxis 4 Cycle Sprint Series Grand Nationals, slated for November 16 and 17 at 103rd Street Sports Complex in Jacksonville, Florida. With the bulk of the season in the books for most series, Maxxis Officials felt this was the perfect place to position the Grand National event, using the Florida sunshine as a perfect backdrop for the first edition of this event. With the points season already concluded on the series, the event is open to any and all competitors who wish to participate. While primarily a Southern Series this season, entries from Minnesota and Delaware have already come in, with inquiries also coming from competitors in Iowa and Louisiana, as well as many other parts of the country. The Grand National weekend will start off with a full day of practice Friday November 16 from 9am-4pm. At 4:45pm, all attention turns to the 3 Shootout Races featuring LO206 Cadet, Pro Gas Senior, and LO206 Masters. 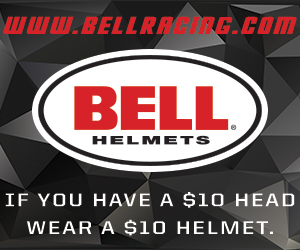 Payday for Cadet and Masters will be $200 to win, $100 for 2nd, and $50 for third, while the Pro Gas Senior Class will have 1 of 2 purses, contingent on kart count. If there are 10 or more entries, the winner will receive $500, with $350 for second, and $150 for third, courtesy of Jerry Yarbrough and Best Transmission. If the field is under 10 entries, winner will receive $250, with $150 for second and $100 going to third. Following the on-track activity, there will be a catered barbecue, with all customers welcome. Price is $10 per plate. During that time, tons of prizes will be given out to all drivers in attendance. Items ranging from bikes, scooters, and razors for the kids, to tools, tires, and gift certificates to the Junior and Senior drivers. Additionally, the 2018 Year End Awards ceremony, honoring the season champions and top 3, will also take place, with champions receiving an award, custom jacket, and set of Maxxis Prime Tires. On Saturday, activities get underway with 2 rounds of practice, beginning at 9am. Qualifying, Heat Race, and Mains will follow. Here are the classes that will be available that weekend.